In the lost places called Weirdland every knight have to find his lost princess and regain his one true love. 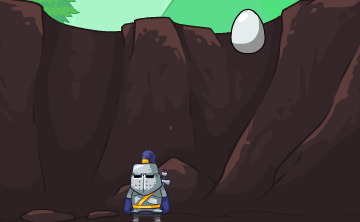 On his way to success and happiness, there will be many dangerous objects which are deadly and needed attention, use WASD to move and press space bar to shield yourself from the dangerous like falling eggs and explosive squirrels. Find your way out and enjoy the medical action game, best of luck. You can play Adventures in Weirdland free online shooting games at fogames. It has tags: Arcade,Avoid,Medieval,Upgrade. It has 1919 total plays and has been rated 82.2% (6 like and 0 dislike), find the fun and happy day. If you want to play more shooting games, we find some of the game: Fancy Pants Adventures Sneak Peek, Big Truck Adventures 3, Big Truck Adventures 2 and Screwy Adventures. To play other games, go to the arcade games page, the avoid games page, or just check out the new games or best games page. Play Adventures in Weirdland online games, Fun and Happy.